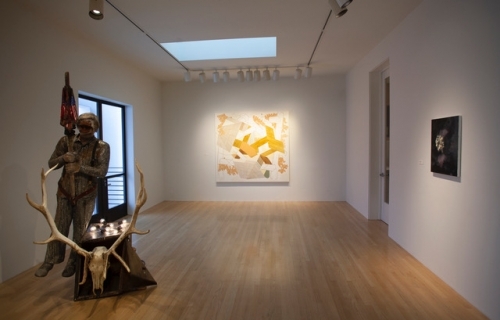 Venice, CA -- L.A. Louver is pleased to present EVOLVER, an ever-changing exhibition of painting, sculpture, drawing and photography that reveals unexpected relationships and currents of connectivity. Considering an array of thematic motifs and material elements, the exhibition includes over 100 artworks by more than 60 artists from all generations and backgrounds. Beginning with guration and culminating with abstraction, the works will alternate at varying intervals to create renewed viewing experiences week by week, or even day by day. Towards the end of the exhibition’s run, the show will have completely transformed many times over. The rotation of works is not beholden to a set agenda, but will spontaneously evolve through the summer. Movements will be announced in real time on social media (@lalouver), where insights into the artworks and live videos will be shared. Driven by the impulse to re-examine and contextualize artworks across a wide range of mediums, the exhibition is a reflection of the gallery’s 40-year history. 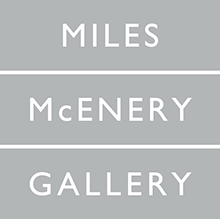 Founded in 1975, the gallery has mounted over 500 exhibitions with nearly 400 artists. EVOLVER provides a small glimpse into just a few of the artists with whom L.A. Louver has had the privilege to work.